Community Action Partnership of Sonoma has been awarded a grant in the amount of $75,000 from Kaiser Permanente to perform physical improvements to Roseland Elementary School’s community park facilities. The school will offer programs designed to encourage Roseland area residents to use the park. This funding elevates the work of the Roseland Health Action Chapter, a group of resident-leaders, who recently approached Kaiser Permanente with a vision for enhancing the public space at Roseland Elementary School. The school’s park and play area is used during the school day and becomes a community space on weekday evenings, weekends and summers for children, teen, families and other community members. The group of resident leaders hopes to further promote use by the neighborhood children and families. With housing prices and homelessness both on the rise, the Park Village Housing Project is needed now more than ever. Park Village is a unique public-private partnership between the City of Sebastopol, the social service nonprofit West County Community Services (WCCS), and the Group of Advocates, a voluntary organization focused on homelessness. For the 2018-19 year, the city supplied $95,000 in funding to Park Village Housing, down from $98,000 the year before. WCCS raised another $440,000 from additional donors, including a $25,000 grant from Kaiser Permanente, to add a community room, additional housing units and to rehab four vacant apartments on the property. The City of Sebastopol funding largely supports a full-time case manager on site, as well as a resident manager who lives on the property. Sitting on several acres east of Sebastopol, the city-owned mobile home park was taken under management by WCCS in 2017. So far, 19 previously homeless citizens have been housed, with lighter touch services supporting 66 additional low- and very lowincome park residents. Two previously homeless families have already stabilized at Park Village and moved on to more independent living. Park Village residents benefit from a broad range of human services, including employment, health and education assistance that will help integrate the park and its residents into the broader community. This year will see two additional trailer pads completed for the placement of two new homes for four to eight more people, as well as the rehabilitation of the vacant apartments for two additional families. By January 2020, the project will have housed at least 25 previously homeless citizens, or more than a third of Sebastopol’s reported homeless population. The Sonoma chapter of Speedway Children’s Charities is accepting grant applications from Sonoma County nonprofit youth groups for its 2019 grant cycle. According to a press announcement from Speedway, qualified grant applicants must be youth-focused nonprofit groups serving Sonoma County. To focus efforts on Sonoma County youth in need, say Speedway officials, priority will be given to programs that concentrate on education, financial hardship, literacy, medical needs, nutrition, social support and therapy. Applying organizations should note that Speedway Children’s Charities does not fund first-year programs or organizations, capital campaigns or construction/remodeling projects. Based on designated funds raised following the 2017 Sonoma County wildfires, Speedway will also issue a limited number of “targeted grants” to groups offering additional services or programs to aid with fire-relief efforts. Groups applying for targeted grants must meet all other SCC grant requirements, and the one-year fire-relief funds will be above and beyond the basic grant. Speedway Children’s Charities, the charitable arm of Sonoma Raceway, hosts events throughout the year to raise funds for distribution to local nonprofit groups. The Sonoma chapter says it has distributed more than $6.4 million to Sonoma County youth groups since 2001, including nearly $448,000 to 55 groups in 2018. The 2019 SCC grant application and format guidelines can be found at speedwaycharities.org/grants/sonoma. 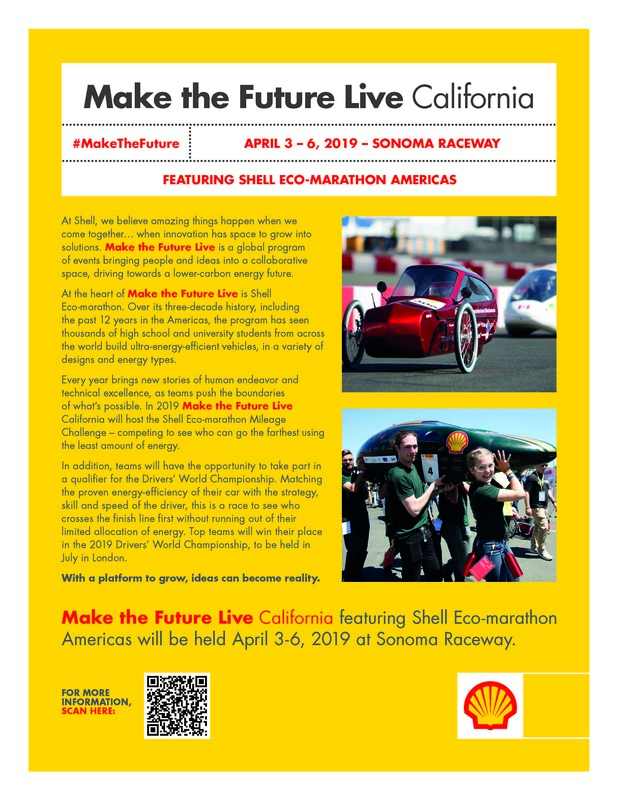 Applications must be completed and returned to Sonoma Raceway by 5 p.m. on Tuesday, June 2. Applications are not accepted via email or fax. Welcome. We’re once again celebrating the best of the North Bay, with our epic Readers Poll and extensive selection of Writers Picks. It never gets old, putting out these annual issues that celebrate the best of the best of Sonoma and Napa counties. In a world of impermanence, it’s good to know that there’s always another Best Of issue right around the corner—and that each year, new businesses and people always seem to refresh the proverbial aquifer of greatness. From Best Doctor to Best Winetasting, we’ve got it covered, and then some, across our various categories. Our winners are a reflection of the community at large that chooses them—and represent the day-to-day goodness that makes living around here a Best Of experience in its own right. The National Credit Union Foundation presented the Anchor Award to Brett Martinez at its annual Herb Wegner Memorial Awards Dinner on March 11th during the Credit Union National Association (CUNA) Governmental Affairs Conference (GAC) in Washington, D.C.
North Bay Business Journal Names Forty Under 40 Winners for 2019 – Congratulations to all NBLC Members Honored!! https://northbayleadership.org/wp-content/uploads/2016/08/nblc_logo2.png 0 0 nblc https://northbayleadership.org/wp-content/uploads/2016/08/nblc_logo2.png nblc2019-03-20 21:26:582019-03-20 21:26:58North Bay Business Journal Names Forty Under 40 Winners for 2019 - Congratulations to all NBLC Members Honored!! Kaiser Permanente announced Monday that it will invest $3 million over the next three years in an effort to end chronic homelessness in the Sacramento region and 14 other communities around the United States. As part of the effort, Kaiser will be working with New York-based Community Solutions to apply problem-solving tools that the organization said has ended chronic homelessness in Bergen County, N.J.; Lancaster, Pa.; and Rockford, Ill. It also said that nine U.S. locales, including Riverside, Calif., and Abilene, Texas, have ended homelessness among veterans. Haggerty worked in the field of affordable housing for 20 years, according to the nonprofit’s website, but she left to found this organization in 2011 because homelessness and poverty were expanding faster than she could turn out new homes. In the first four years of her organization’s existence, the company said, the leadership team helped 25 times as many people as they did in their combined 20 years of prior work. People experiencing homelessness usually end up seeking care in emergency rooms, often because the lack of safe, stable housing makes it difficult for them to store medication and recover from illness. Statistics also show that people experiencing chronic homelessness are three to four times more likely to die than the general population. In California, Kaiser and Community Solutions are working with the city and county of Sacramento; Bakersfield and Kern County; Fresno and Madera counties; Marin County; Santa Cruz, Watsonville and Santa Cruz County; and Riverside County. In other parts of the nation, they will team up in Baltimore, Md. ; Montgomery County, Md. ; Arlington County, Va.; Fairfax County, Va.; Denver, Colo.; Atlanta, Ga.; and Honolulu. The health care giant and Community Solutions announced their partnership at the SXSW (South by Southwest) Conference in Austin, Texas. Last year, Kaiser created a $200 million impact investment fund known as the Thriving Communities Fund aimed at addressing homelessness, affordable housing and other issues related to the housing crisis. Nicole Smartt Serres extends her personal conviction for community work to her business. The president and co-owner of Star Staffing, which is based in Petaluma but with an office in Fairfield, encourages her staff to get involved in their communities and gives each employee one paid day off to do volunteer work. “I’ve always believed in paying it forward. From an early age while on a sports team, we did charity work to support our community and make it better. Those values were instilled at a young age and I’ve continued to volunteer and sit on boards that help make a difference,” Serres said in an email response to questions from the Daily Republic. Her partner is Lisa Lichty, co-owner and the chief executive officer of Star Staffing. The company also gets involved as teams in such activities as Heart Walk, Relay for Life and food drives. Additionally, there are special occasions when “we take cookies and flowers to senior living facilities (on) Valentine’s Day or donate clothes and food for different drives. And during Christmastime, each member donates a gift to underprivileged homes,” Serres said. “The most satisfying work is helping people get ahead in their careers, which is why I wrote my book, ‘From Receptionist to Boss: Real-Life Advice for Getting Ahead at Work,’ ” she said. In fact, Serres oversees the CSU Sonoma School of Business & Economics Career Center. Serres also sits on the boards for the North Bay Leadership Council and Friends of the Petaluma Campus, which works under the umbrella of the Santa Rosa Junior College Foundation. Among the lessons she would teach is a personal philosophy of working hard, because that will always trump talent if that talent is not working hard. “I’d love to do more for women’s rights and equality. I believe that when women and girls rise, we all rise,” said Serres, who is a contributing columnist for the Sacramento Business Journal, North Bay Business Journal and Forbes. As part of a career exploration day, 33 students visited the Santa Rosa headquarters of Redwood Credit Union (RCU) on Tuesday, March 5. From 9am until noon, students learned what a career with a credit union is like. They were welcomed by Brett Martinez, RCU’s President and Chief Executive Officer, and Matt Martin, Senior Vice President of Community and Government Relations. Next, they took part in a workshop, toured the building, and participated in a discussion with featured panelists and departments.